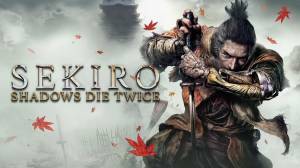 Sekiro: Shadows Die Twice takes place in an alternate rendition of Japan’s Sengoku period. Sekiro is the namesake shinobi that translates to “the one-armed wolf”, a reminder of an encounter that cost him his arm and when his Young Lord was taken away. After being left for dead, the Wolf wakes up in a temple run by a mysterious man known only as the Sculptor. With a newly, sophisticated prosthetic arm installed, the Wolf sets out on a journey to find and rescue his master. Welcome to our unofficial guide to the challenging and unforgiving title from the creators of (in)famous Dark Souls series and Bloodborne. We will feature dedicated sections for helpful tips, boss strategies, collectibles, and other helpful tidbits to help you survive the brutal world of Sekiro. Please use the navigation panel on the right. The guide is currently a work in progress so you may find incomplete pages which we will update as we play through the game. Please don’t forget to check out our YouTube channel and Facebook page for more updates. Are there any checkpoints in the game? Why do you have to Eavesdrop? Where to get the Hidden Temple Key? How to increase Healing Gourd uses? Is there a healing skill in the game? What is Dragonrot and how to cure it? How does the Resurrection work? How to minimize EXP and Sen loss? Where to get new prosthetic tools? How to do I use shinobi tools? How can I upgrade my prosthetic tools? What skills should I prioritize? Why farm EXP (and Money)?